The last ten years have revolutionized the financial landscape. 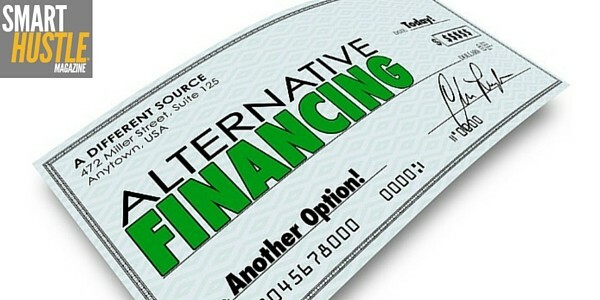 The Recession and new technologies have paved the way for a new type of financing, called alternative financing, which offers non-traditional financing or uses technology to make quick decisions and connect borrowers and lenders (think Kickstarter). The alternative financing landscape is exploding – according to a report by the Cambridge Centre for Alternative Finance, in 2015 the alternative finance market was over $36 billion, over three times the size of the market the year before. But what does this mean for business owners? Simply put, the rise of alternative financing means that you have options. If you can’t get a bank loan to grow, stock up on inventory or cover a slow period, you can go to an alternative financing provider and get access to the cash your business needs. The application process can take only minutes, and your request can be approved within hours and funded the same week. A merchant cash advance is when a financer provides money in return for a percentage of the company’s future credit card sales. For example, if a company borrows $10,000, they could pay the financier 10% of their daily credit card sales until the $10,000 plus interest is paid back. Companies with regular credit card sales are almost always approved, but the interest rate for merchant cash advances can be high. Revenue cash advances are like merchant cash advances, except for companies that don’t do much in the way of credit card sales. In this case, companies pay back the financier through a direct deposit of a relatively small amount each day. Revenue cash advances can be approved quickly, and are available to companies that may not qualify for traditional bank loans, but again, the interest can be very high for this type of financing. Receivables based financing is similar to merchant or revenue cash advances, except that lenders look at accounts receivable history and invoice collection to determine whether to approve the borrower. Once the borrower is approved, they can borrow against either their entire accounts receivable balance or individual invoices. Receivables based financing is popular because once you get approved, you can get funding immediately whenever you need to borrow, and because the interest rates are usually lower than merchant or revenue cash advances. Factors buy your invoices at a discount, often 5%, and then your customer pays the factor directly when the invoice is due. The implied annual interest rate can be very high with accounts receivable factoring, but the financial technology now available means that businesses have a lot more flexibility in choosing when and how much to borrow. Classic loans give borrowers an amount of money with a fixed term and repayment schedule and a specific or floating interest rate. Lines of credit allow businesses to borrow funds, pay them back, and borrow again during the duration of the line of credit. While these are very traditional forms of financing, they can qualify as alternative financing when a lender provides them more quickly or according to different criteria than a bank would use. Microloans are loans that are much smaller than typical bank loans. An example is the charitable microloan site Kiva.org. While microloans are usually seen in the developing world, some alternative finance providers are providing microloan options within developed countries. 5 types of alternative #funding that your small #business should consider. One of the trade-offs for quick decisions and access to capital is that some alternative lenders charge extremely high fees, which can potentially double the amount you have to repay. Most financiers don’t state the interest rate because technically they are not lending money but buying future revenue. 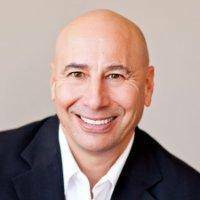 Dean Kaplan, President of the commercial debt collection company The Kaplan Group, warns that “borrowers need to be sure that they understand the implied interest rate and shop for the best rate. We’ve seen rates under 10% but as high as 150%.” Kaplan created a free implied interest rate calculator so businesses can understand what the true cost of the money is based on the repayment terms. Once you know the cost of money, make sure that it makes good business sense to borrow money at that rate. If the money is so expensive that it eats up all of your profit, then you are only digging a bigger hole for your business to climb out of. Personal guarantees are frequently requested, but many financing sources do not require them. Some types of financing require a fixed payment regardless of what is happening with your business. Others make the payment based on your actual revenue, which can be very important if you have an unexpected decline in sales or a cyclical business. The free, online Alternative Financing Directory has over 700 financing sources. You can sort the database based on the amount you are seeking and type of financing desired to compare implied interest rates. With quick approval, multiple funding sources and nontraditional lending criteria, alternative financing can be a lifeline for your business.